Are Medibank Shares (ASX MPL) A Good Dividend Stock To Buy? | MF & Co.
Medibank Private (ASX MPL) is an Australian-based private health insurance provider. Medibank is in the business of underwriting and distribution of private health insurance policies through Medibank and ahm brands. The company has two main segments, Health Insurance and Complementary Services. The Health Insurance segment offers private health insurance products, including hospital Cover and Extras Cover for Australia citizens and overseas visitors and students. MPL currently has 3.8 million members and has a 29.1 per cent market share in Australia. The company is well known for its generous dividend payment. Since April 2018, the company’s share price has been in an uptrend and peaked at $3.3 on 15th August before falling back below $3.00 on soft results. Medibank is also one of our top dividend stocks to buy for 2019. MPL’s strength lies in ahm, which is the company’s low-cost Jetstar-like brand. It is a top twenty health insurer and the fastest-growing health insurer, targeting the young and healthy group offering cheap policies with interesting extras. MPL’s market share grew 5 basis point over the last 6 months in 2018 FY. This is from a combined effect of robust growth in ahm’s market share and a slow-down in the loss of Medibank’s policyholders. There has been a significant improvement in Medibank’s ability to retain its customer as Medibank kept premium increase below the industry average, offered simplified cover options and rewarded loyal clients with cash givebacks. MPL’s growth strategy with a focus on leveraging on its dual brands has proven to be successful and it is expected that ahm will continue to grow. Taking into consideration the aging population and rising compensation claims, ahm’s success in obtaining young and healthy clients is vital for Medibank Private. Young people tend to incur less medical expenses and the premium they pay will help relieve the pressure on the increasing number of compensation claims. Moreover, MPL continues to cut management expense and test drive new methods to deliver private medical care to their clients with lower cost, such as the “chemo at home” and “Medibank at Home” trial. MPL also allows ahm members to transfer easily into Medibank and the client is still counted as a loyal member, eligible to enjoy the loyalty program. As there are about 34 private health insurers in Australia offering over 30,000 different policies to choose from, clients tend to be in the “paradox of choice” and is reluctant to switch to other providers as there are many choices available. Additionally, after switching to a new insurer, members need to wait to be able to claim. 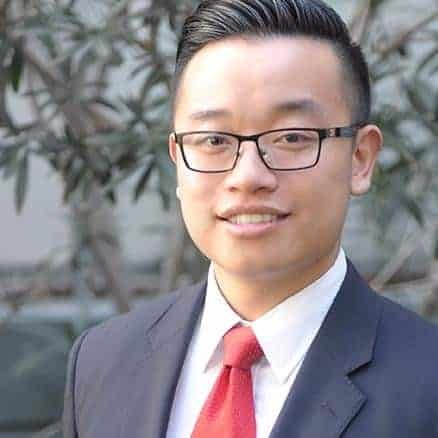 Thus, young members with ahm are very likely to stay or transfer to Medibank when they reach middle-age and become wealthier, which is a strength of Medibank that its competitors don’t have. Political risks and regulation pose a potential risk to the Medibank’s business. With current regulations, any increase of the premium must be approved by the government, which means the health insurance industry is in an unfavourable position under this regime. In 2018, the government permitted an increase of 3.95% in premium which is much lower than in the past. MPL chose to increase its premiums by an average of 3.88% across all Medibank and ahm health insurance products from 1 April 2018, which is the lowest in 17 years and is below the industry average. However, the compensation payouts have increased significantly in the past 3 years for MPL, which has reached $5.2 billion and accounts for 90 per cent of the total costs. The ageing population, the increasing frequency of chronic diseases and more broad demand in medical treatments all contribute to the higher compensation amount, which increases costs for Medibank Private. The situation will likely get worse in the future as the number of people aged 65 or older grows. This segment is projected to be 22 per cent of the population in the near future. Although private health insurance companies like MPL try to make products more affordable to their customers by keeping premium lower than the industry, the increase in premium is still above inflation and average growth in salary. The inflation rate in the first half of 2018 is around 2 per cent while the annual wage growth is 3.5 per cent, which was lower than the premium rise of 3.88%. All these figures indicate that some current policyholders may search cheaper alternatives. Moreover, private health insurance companies have witnessed more consumers lowering their coverage or opting out altogether in the past few years, which will pose threat to the future revenue. In order to get people back on private health insurances, big companies like Bupa are actively persuading the government to increase the Medicare Levy Surcharge, which acts as a penalty tax for high-income earners who don’t buy private health insurance. However, the government declined to raise the Medicare Levy to fund the national disability insurance scheme in April 2018. the government announced they don’t need to increase the Medicare Levy to fund the health insurance scheme thanks to the improvement in the Australian’s fiscal position. However, Coalition strategists believe that Liberal party was also concerned about the rise in Medicare Levy would annoy voters. They were afraid the levy rise will likely fail to pass the Senate and becoming another budget zombie measure. Regardless of the real intention behind this decision, we could sense the government’s unwillingness to raise the Medicare Levy, which is probably the most effective tool to enforce people taking on private health insurance. From a dividend income perspective, MPL has a higher yield and payout ratio than its rival listed insurer Nib Holdings (ASX NHF). The company’s dividend payment has increased by 5.8% compared with FY17, totalling 12.7 cents per share fully franked for FY18. The payout ratio was 78.4% and it is expected to remain at the top end of the company’s stated target range of 70-80% range for FY19. However, earnings may be bearish for MPL due to the industry-wide trend of a soft premium growth and the flat growth of total policyholders, which are primary revenue drivers for the company. For FY18, total policyholders grew 0.3 per cent to 1,780,900 but all the growth was in the cheaper brand AHM at the expense of the premium brand Medibank, meaning revenue per policyholder grew just 2.3 per cent – about half the rate of nominal premium increases. Although MPL is striving to turn this around by offering a range of services and benefits to policyholders to persuade them to stick with higher premium policies and hospital cover, the lapse rate still amounted to 10.7% for Medibank and 16.3% for ahm. From the market perspective, EPS has stopped growing and Medibank shares PE ratio has remained stable around the 17-19 mark. Based on the factors mentioned earlier affecting MPL’s future earnings, we can expect MPL EPS growth to stay stagnant. Interestingly, NHF continues to grow its EPS strongly relative to Medibank shares but has a similar PE ratio to Medibank shares. This indicates that either MPL is over priced or NHF is undervalued for its strong EPS growth. 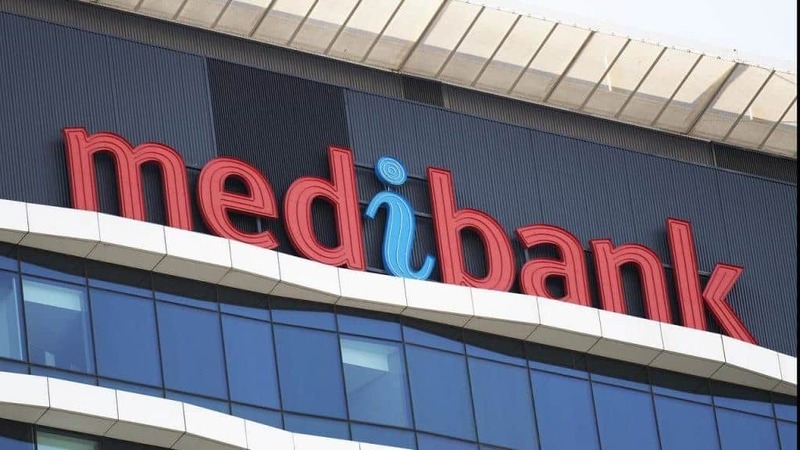 As Medibank shares have had a good dividend history and recently increased its interim dividend by 4.8% to 5.5cents, Medibank is a reliable blue-chip dividend stock which will continue to offer investors with a dividend yield of around 4.2%. However, Medibank shares’ future earnings have a lot of headwinds, due to soft premium growth, increased compensation claim and clients switching to cheaper alternatives like NIB. However, if Medibank Private can at least keep its earnings growth in the black, Medibank shares will be a great stock to buy for a stable and reliable dividend.